Christ’s College, founded by William Bingham, began life as ‘God’s House’ in 1437 as a training centre for grammar school masters. The College received its first Royal Licence in 1446 from King Henry VI shortly before the college was forced to move, to make way for what was to become King’s College. Christ’s moved to its current home in 1448, receiving a second royal licence that is seen as the Foundation Charter for the college, although at this point it was still know as God’s House. Thanks to the generosity of Lady Margaret Beaufort, mother of King Henry VII and founder of St John’s College, the college grew in 1505, receiving its Royal Charter in 1505 and taking the name ‘Christ’s College.’ Lady Margaret has been honoured as the founder ever since. Lady Margaret was a key figure in the War of the Roses, secretly conspiring against King Richard III, which resulted in her son winning the crown at Bosworth Field. As the King’s mother she commanded a high status, even more so due to her own potential claim to the throne. The site that God’s House moved from now houses the famous chapel at King’s College. Christ’s has stayed put in its current location in St. Andrews Street, Cambridge since 1448. St Andrews Street is centrally located and, as with many of the city centre colleges, Christ’s appears outwardly small and could almost be missed by the casual passer-by. However, as with most of the other colleges, once you are within the college walls the grounds are quite extensive. Visitors make their way through the Great Gate tower and into the medieval First Court, notable amongst other things for its unusual round lawn, overlooked by the Master’s Lodge. Stretching back from the First Court, we see through to the impressive Second Court incorporating the Fellows’ Building and garden, moving onto the late Victorian Third Court before encountering the thoroughly modern New Court. 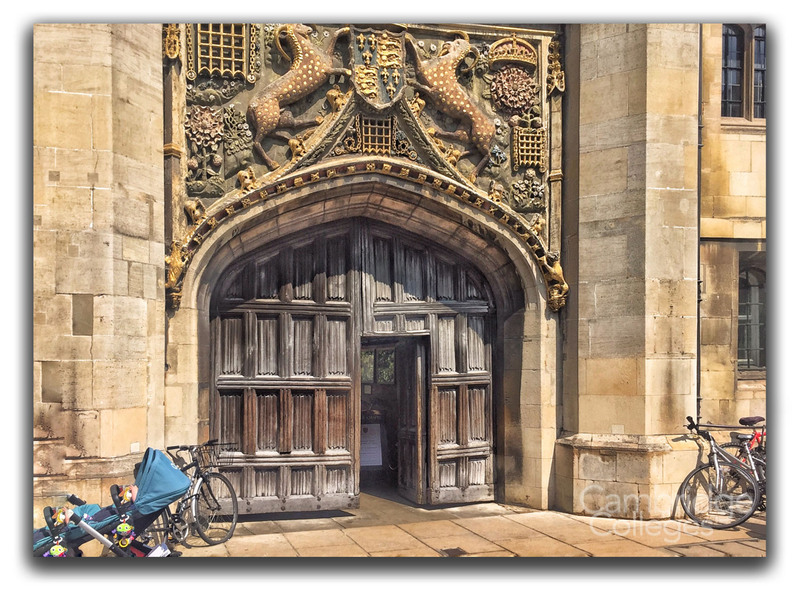 Another idiosyncratic feature is the Great Gate tower which is the front entrance to the college. When you see it ‘in the flesh’ you’ll notice that, although imposing, it is out of proportion – the bottom of the tower has been cut off to allow for a rise in street level which took place in the city. This can also be seen in the staircases adjacent to the tower which lead down to rooms below street level. A map of Christ’s College can be found here. At the back of the college is the New Court. Its controversial design has earned it the nickname “The Typewriter”. 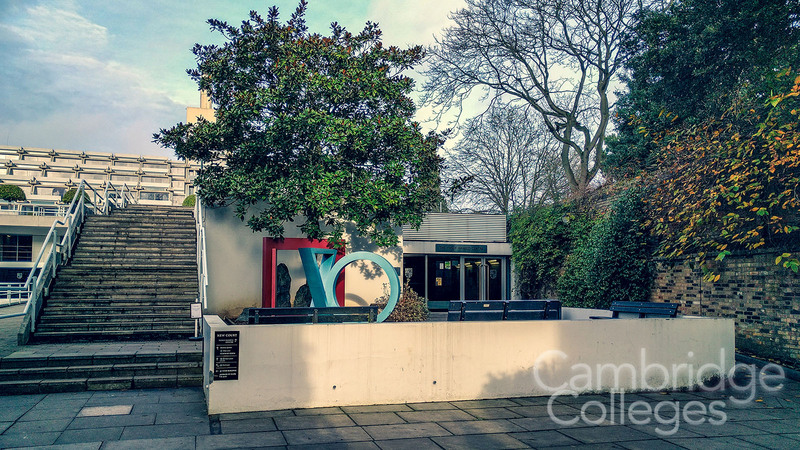 This modernist building was designed and constructed by Sir Denys Lasdun and completed in 1970. The New Court (pictured below) was considered an architectural success, described in Lasdun’s obituary in the Guardian newspaper as “superb”, an opinion not necessarily shared by locals. What do you think? Christ’s college is home to around 450 undergraduate and 170 graduate students. 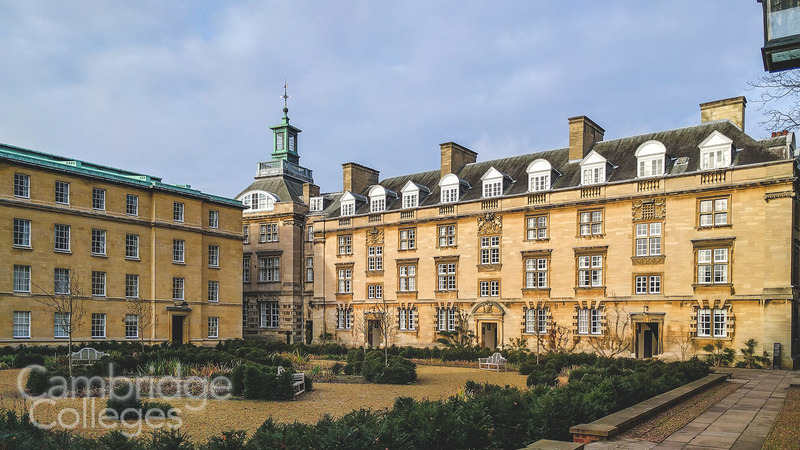 The college is renowned for academic excellence, producing a higher than (Cambridge University) average number of students attaining either a first or upper second class honours degree. 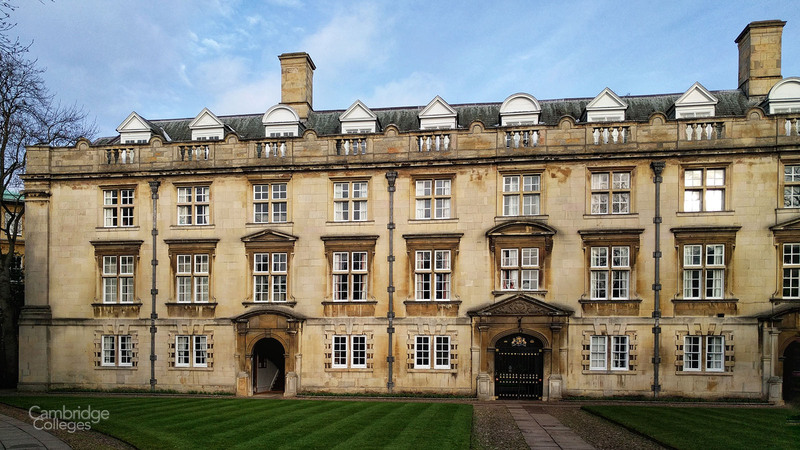 Charles Darwin lived in the 16th Century buildings of First Court for most of his stay at Christ’s. Originally intending to be a man of medicine but, failing at that, Darwin came to Christ’s to become a man of god. This didn’t work out for him either. Cambridge students are no longer allowed to keep either, which is probably for the best. 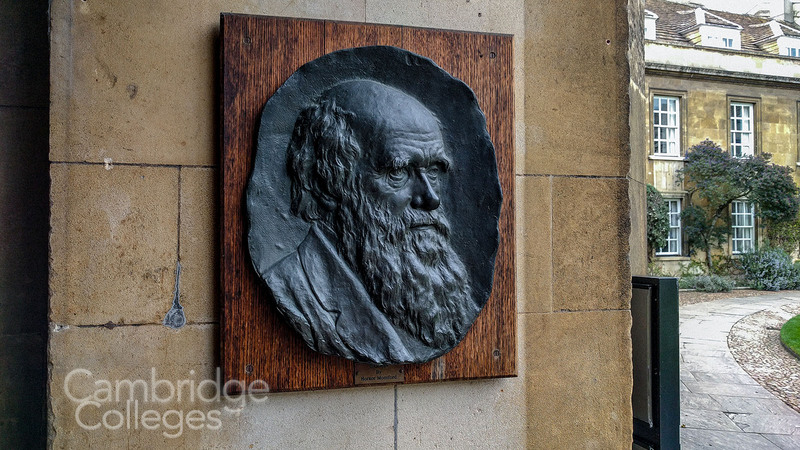 Darwin was famously very fond of his years in Cambridge, going so far as to claim they were the happiest of his life. Less well known is his later claim that “during the three years which I spent at Cambridge my time was wasted, as far as the academical studies were concerned.” He was clearly having too good a time in the city. Louis Mountbatten (the last Viceroy of the British Indian Empire). 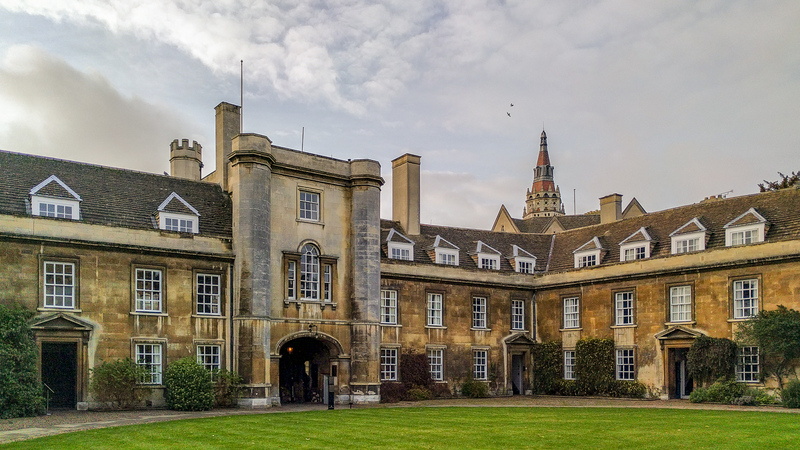 The notable lack of women amongst Christ’s alumni roll of honour, and indeed the same can be said for many of the colleges, can be explained by the fact that women were not admitted to the college until the late 1970s. They did, however, present Elizabeth, the Queen Mother with an honorary degree in 1948. Visit Christ’s college website for more information (including college opening times). 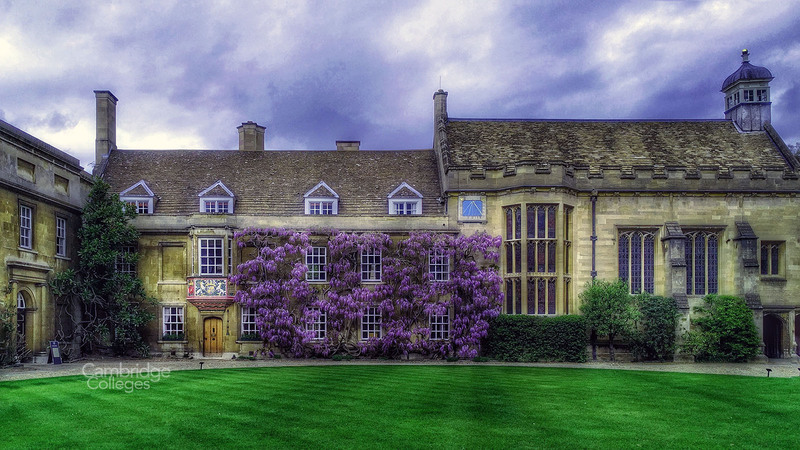 Christ’s college sister college is Wadham College, Oxford. A younger college (founded in 1610), it is home to around 650 students, making it a similar size to Christ’s. The College has its own outdoor swimming pool. This is believed to be the oldest outdoor swimming pool in the UK and is one of only five at Oxbridge colleges. Incidentally, they’re all at Cambridge colleges – so another point scored for Cambridge for those who are counting.